Loop Mobile today announced the launch of its first and largest experience store in Mumbai at Inorbit Mall, Vashi. The Loop Mobile Gallery is a first of its kind on-ground mobile service store with latest state of the art features and unique services.On the same day, Loop Mobile announced its Going for Great Challenge by creating new benchmarks in service delight. Loop Mobile redefines customer delight with 2 Promises all subscriber calls will be answered within 10 seconds on IVR and any service would be activated within 15minutes. In case of any deviation, subscribers would be entitled to a money back offer or FREE Cafe Coffee Day voucher.Loop Mobile’s experience store is designed to allow customers to explore unlimited opportunities in the world of Value Added Services. 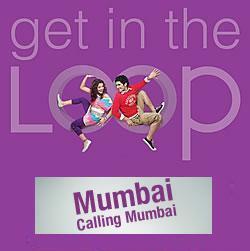 Going for Great Challenge Loop Mobile is the 1st operator in the country to create new service benchmarks addressing some pain areas for mobile subscribers today, Loop Mobile takes one step forward by introducing 2 Promises which shall redefine the mobile experience for all its over 3million subscribers in Mumbai. o Any service activation request would be done in 15minutes flat. If the above is not complied Loop Mobile is ready to give money back or a FREE Cafe Coffee Day Voucher.